Jason spent a lovely morning at the Greenacres Care Home in Meltham. The home, which is run by Ideal Care Homes, looks after 64 residents in a modern and stimulating setting. 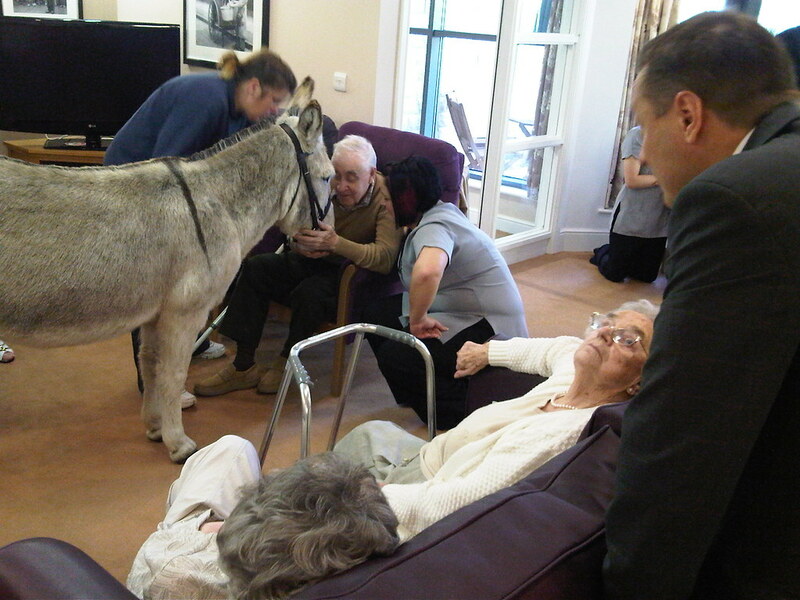 During Jason’s visit, a donkey was brought over to meet the residents.